(010) 880 2615 160 Side Road, Booysens. Johannesburg South. TNB Naturals CO2 Enhancer is the best and most efficient way to get the proper amounts of CO2 to your green house, tent or indoor garden. This product will eliminate the need of dangerous propane burners and regulating equipment. This brilliant way of delivering CO2 into the atmosphere is all natural and just takes 1 litre of luke warm water to activate. 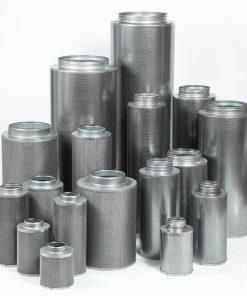 Each canister lasts for up to 2 weeks and has the potential to double production on all plants. TNB Naturals Enhancer has outperformed the competition in all tests and studies. Easy to use and doesn’t produce heat! 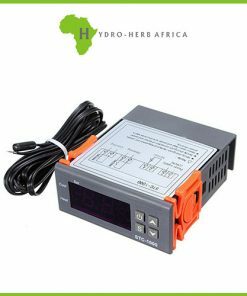 The Enhancer is an all natural CO2 generator made from 100% organic ingredients. This safe an effective solution for CO2 supplementation creates a blast of CO2 that can reach 1200 PPM in a 3.5m x 3.5m x 3.5m area for up to 2 weeks. Activate The Enhancer by adding 1 litre of warm water, placing the lid back on, removing the sticker on the lid, covering the small hole with your thumb and giving the bottle a quick shake. The Enhancer works off the natural phenomena known as photosynthesis and will begin to disperse CO2 within a few minutes of being activated. For optimal performance shake The Enhancer once a day in a 3.5m x 3.5m x 3.5m area and once every second day in a 1.75m x 1.75m x 1.75m area. 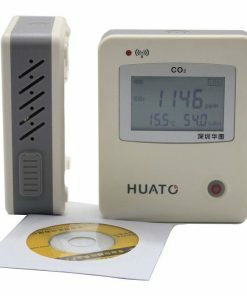 The simplicity and ease of use, along with the fact that The Enhancer does not produce heat or require any additional equipment, make this the future of CO2 production. Remove lid and add 1 litre of lukewarm water. Place lid back on and remove sticker. Shake canister well while covering hole on lid. Place canister above the desired plants in an upright position. CO2 will begin to disperse after first shake and will continuously disperse CO2 for up to 2 weeks. Repeat shaking everyday for optimal CO2 release and place behind an oscillating fan if onee is available. Shake canister once per day. Do not spray plants directly with contents. 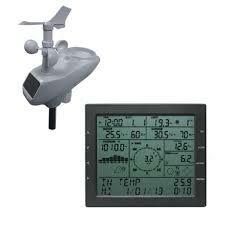 Sufficient for up to 12 sq meter room. Storage: Store in a cool and dry place. Caution: After adding lukewarm water and shaking, do not cover the hole on the lid as it may cause the canister to burst. Do not hang from black lid. Keep away from children and electricity. Not for human consumption or direct inhalation. The Enhancer by TNB Naturals now comes in a convenient refill pack! The TNB CO2 Refill Pack will now give growers the ability to reuse their existing Enhancer bottle while saving money and reducing their environmental footprint at the same time. Simply empty the contents of the†original bottle and give the bottle a quick rinse. The contents of the refill pack can be added and instant CO2 is once again available for use. Boosting plant production and improving overall health, CO2 is an essential element of photosynthesis and often one of the most overlooked components of plant growth. The TNB CO2 Refill Pack consists of the same great recipe while also combining convenience and an amazing option for those looking for passive CO2. 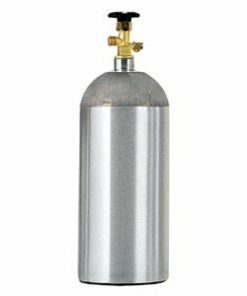 Research has shown that plants can use up to five times the CO2 that naturally occurs in the air and with The Enhancer known for delivering levels of CO2 only comparable to a propane or natural gas burner, there is no question many growers will be turning in their tanks or introducing CO2 with this safer and all natural method. 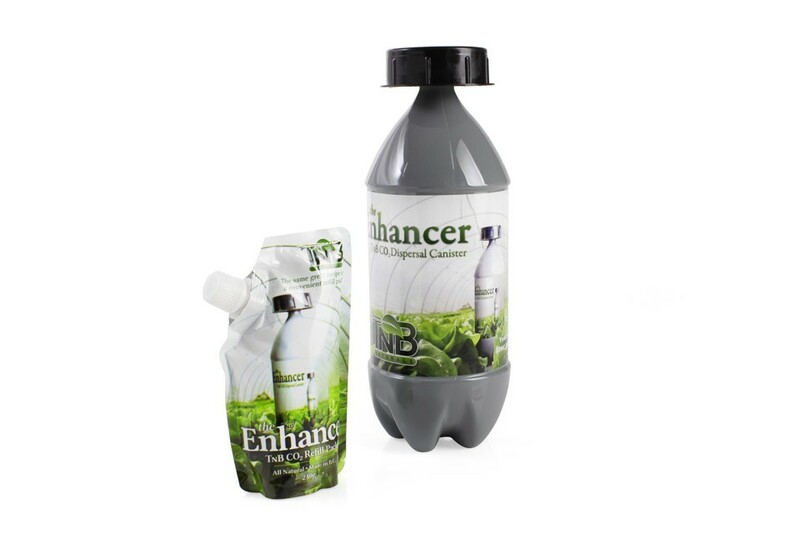 Rinse out the contents of the original Enhancer bottle. Remove the Refill pack lid and pour the contents into the Enhancer bottle. Follow the directions on the back of the Enhancer bottle. Before using an Enhancer Refill Pack make sure to clear the small hole in the Enhancer bottle lid with a pin. Failure to do so may cause the Enhancer bottle to burst. Not to be used with any other bottle other than TNB Naturals Enhancer bottle. Caution: Keep away from children and electricity. Not for human consumption or direct inhalation. We stock and supply a wide range of greenhouse plastics in different thicknesses. We sell reverse osmosis water systems, so you only feed your plants the nutrients. We have a wide range of growing media, from promix 50/50 to vermiculite and more. 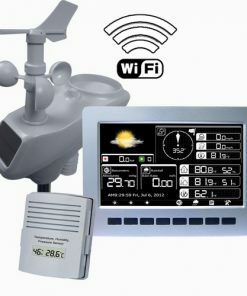 We have a number of complete grow room options form starter kits to kits for experts.